With the Dual Brake Deluxe, parents can continue the driving education of their teens with peace of mind. DUAL BRAKE DELUXE provides safe and dependable braking for driver evaluators and parents. 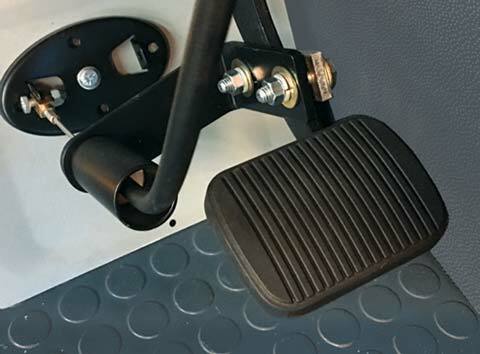 The instructor brake base adjusts to fit the contour of the passenger floor area and is constructed of durable steel. This is why DUAL BRAKE DELUXE’s motto is “Safety You Can See.” See for yourself. Drive worry-free. Drive with DUAL BRAKE DELUXE. Why Choose Dual Brake Deluxe? When driver trainers and professionals were asked what they would like in a dual brake design, the response was overwhelming. Our experienced design team worked together with them to achieve the best possible solution – resulting in a revolutionary new product. This dual brake has developed into the smoothest operating and most dependable unit available. The Dual Brake Deluxe has a unique floating cable design instead of a pulley design. This unique feature eliminates friction which often occurs with other pulley style designed systems. The Dual Brake Deluxe fits most vehicles − even vehicles with limited space under-neath the dash. This unit requires minimal mounting of the pedal base to the floor. At DUAL BRAKE DELUXE, we’ve made it our mission to develop the safest, dependable and technically advanced Dual Brake System available for driver instructors and parents. Our unique technology is so simple and unobtrusive. Its precise dual-functionality does not interfere with the OEM brakes. 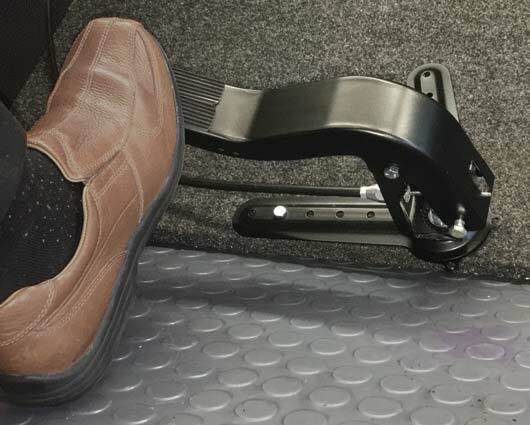 It provides the trainer a comfortable foot position to quickly apply the brakes. Drive worry-free. Drive with DUAL BRAKE DELUXE.